It’s a good thing, y’all! Surely if I add enough bread and sauce, this will taste like something…. The braised collards were out-G.D.-standing. They take a legitimate three hours plus, but that’s mostly just time on the stove. I was lucky enough to buy pre-washed and pre-chopped collard greens, so this was just a matter of cutting up an onion and smashing some garlic cloves for me. And the taste is wonderful. I’m not really one for soul food. I’m just not. I lived in Georgia for a year when I was a kid, but I never developed a taste for it. I don’t cook southern style stuff (which D actually really likes…sorry sweetie) and my affinity for Everyday Food plays right into that. With the exception of the occasional BBQ summertime menu, Everyday Food keeps well above the Mason-Dixon line. D was actually very surprised to see this one. I believe the exact quote was “This is Everyday Food? 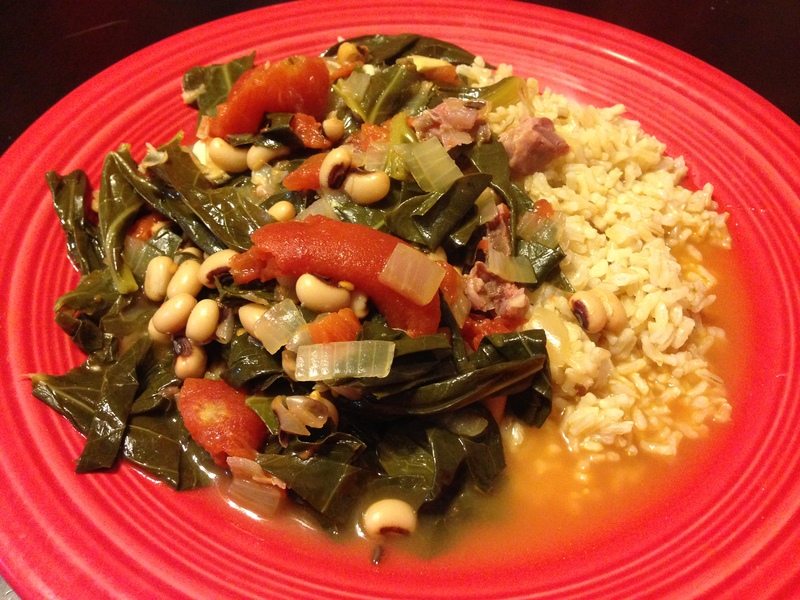 Ham hock, black eyed peas, and collards? !” Well, to quote the great Scarlett O’Hara, “Fiddle dee dee!” This is a delicious meal. The slow cooking melds the flavors together beautifully to make a mild dish. This is wonderful comfort food. I will definitely make this one again. 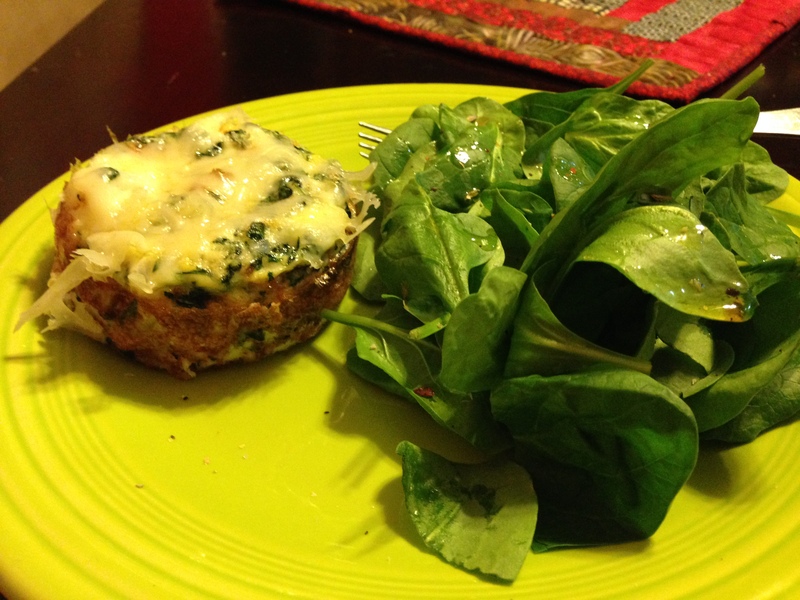 Now the one we pretty much all three agreed on: the frittata and green salad. The green salad was what it said it was. Let’s leave it at that. The frittata was nice. It uses more egg whites than egg yolks, which leaves you in the difficult position of either doing something with all of those extra egg yolks or just throwing them out. B suggested I make mayonnaise or orange curd. These were fine ideas. …. I threw the yolks out a week later. If you can think of something to do with the yolks or if you don’t mind pitching them, this is a fine recipe. Or you could be a little less health-conscious and just leave them in. I won’t tell. Last and least (depending on who you ask), the recipe that J loved and the adults haaaaated: the black bean and brown rice burgers. Wow. It’s not that they’re bad. They’re not. They’re just so bland. 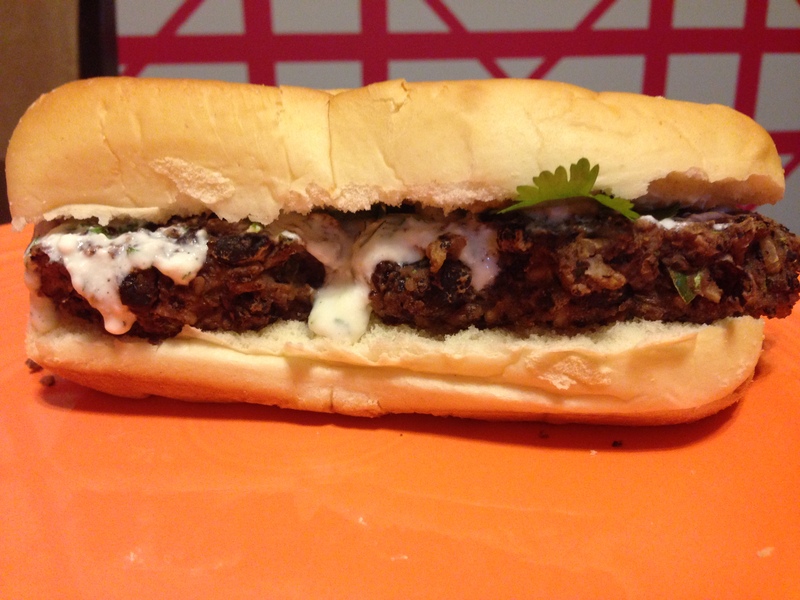 Yes, even with all that jalapeno and cumin and the yogurt-cilantro sauce. They tasted like refried beans. We put them on rolls, added a bunch of the sauce, more cilantro, some red onion. It tasted like…refried beans on a roll with a bunch of sauce, cilantro, and red onion. J could not disagree more with this. He ate all of our leftovers. I want to say he ate these something like three or four days in a row. He even ate one of the ones with jalapenos in it (we made separate burgers for the grownups) when my mom mistakenly fed him one. He liked that one, too. More power to you, J.